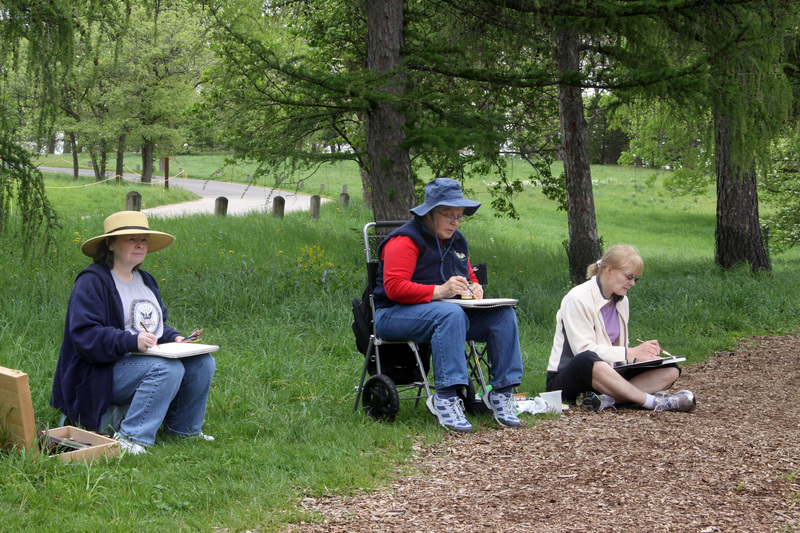 Even the artists were picturesque! 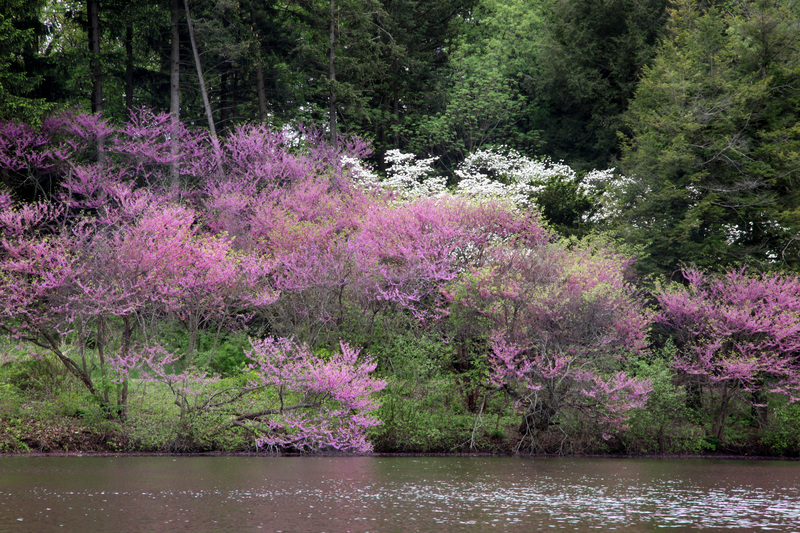 Sitting amongst the bluebells and looking out at the redbuds lining Lake Marmo, members of the Nature Artists’ Guild couldn’t have asked for a prettier scene at the paint-out on Saturday. Susan, Sharon and Eva are pictured here, looking quite lovely themselves, like subjects in an impressionist painting!